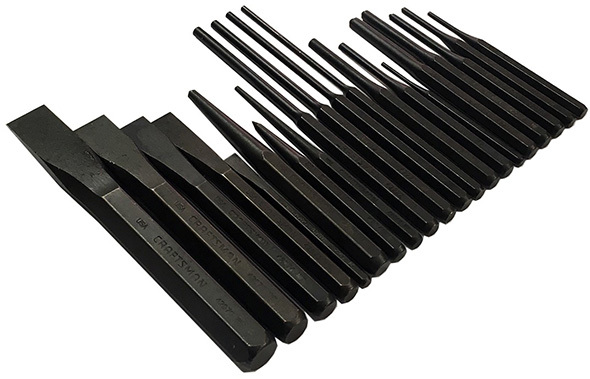 Over at Harry Epstein Co, I was checking out their NOS (new old stock) Craftsman tools when I came across this 20pc punch and chisel set. 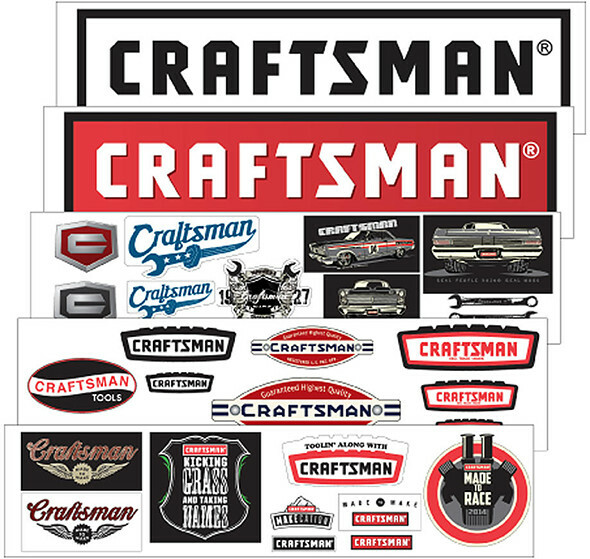 I have a couple of Craftsman punches in my tool box, and maybe a chisel or two, and regret not buying more of them when I had the chance. I don’t recall who the OEM was, but they’re made in the USA, and they’ve held up well for me. 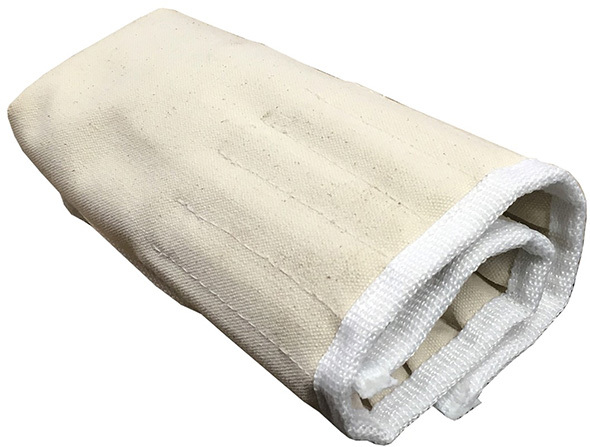 Plus, it all comes in a Leather Works LTD USA-made canvas tool roll. Even with shipping, the set is less expensive than the other USA-made punch sets I can find online at the moment. 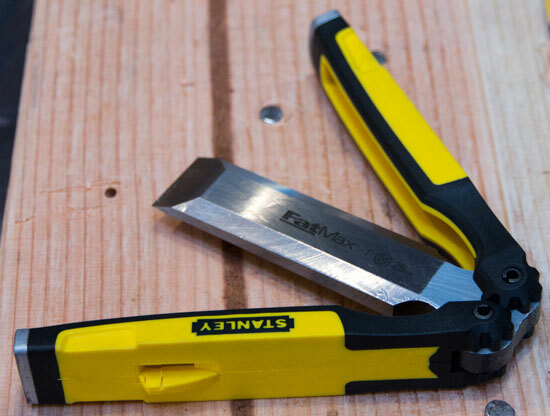 Seems like a very good buy, if you can use most of the punches or chisels in your work. A word of warning – Harry Epstein’s tool catalog is a fantastic collection of new and older tools. If you don’t have time to browse around, go back when you do. For instance, who knew that you could buy Korean War-era punches? I just got done collecting most of those, one by one from the nearest Hometown Store, all USA. No USA roll-pins were available, but I don’t even know what those are for. There is also a ‘line up tool” series that one might want to look for, if they are looking at having a complete set, #’s 42901, 42902, 42903 .Not to mention a 2nd size center punch, 42861. They have a ball at the end that allows for self-centering and alignment, and might also help to prevent damage of the pin ends. This looks like a nice set, I may have to grab one. I’m becoming quite a fan or leather and canvas tool rolls, I find I tend to keep my files and chisels together and undamaged with them. I had some Craftsman roll pin punches that came in a similar set back in the day, sans the tool roll, which never saw much use. I’ve long since ground them flat, or lost them. They are useful for some gun smith work, although I prefer using brass for that in the interest of not causing irreparable damage should it (blame the tool) slip. I build a lot of my own semi stationary tools that I can’t afford the manufactured versions of, and usually use roll pins for fixing hand wheels to metal spindles or to fix spring loaded latches in place if they need to be serviceable and honestly forgot how much easier it is to set roll pins with the proper pin punch. Isnt western forge owned by ideal which also owns sk tool company? 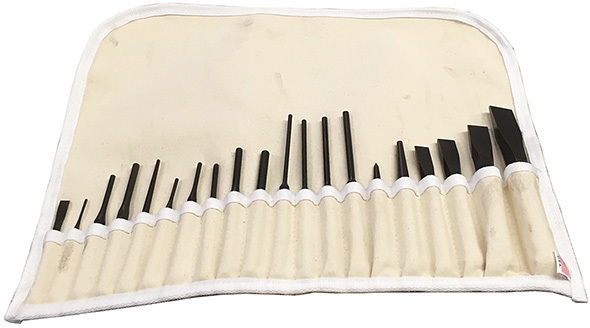 The Amazon link shows the tool roll for a Mayhew 12pc. set – but an inset picture of a 10pc. set. While on the topic of Roll Pins (aka spring pins or tension pins) – I might also add that they can be turned into cheap hole saws especially useful for drilling out broken-off screw shanks. You need to get a roll pin with an inner diameter large enough to slip over the screw shank. Then you file a cutting edge on the leading side (think about how a drill bit rotates to cut) of the roll pin split. Then just chuck your roll-pin hole saw and drill a hole around the broken screw shaft to grab it and remove it. I could be totally wrong, but aren’t these made by Wilde Tool in Kansas City? I’m pretty sure they made the Craftsman prybars, so there’s history of them contracting. I have the Tekton punch and chisel set that I believe is also made by Wilde, and these look nearly identical. Sears went with many different OEM’s for hand tools. Cal-Van, Easco, Mayhew, Midwest, Pratt-Read, Western Forge and Wilde were among some of their OEM’s . In later years – once UPC package labeling became commonplace – you could tell the OEM from the first 6 digits of the package UPC. TIA – also published a list of some Sears part number prefixes that may help pinpoint an OEM – but I have items like a wheelbarrow that has part #452.87186 – and the TIA list suggests that AT&T might be the OEM – but I don’t think that AT&T’s Western Electric made wheelbarrows. I mentioned above they are Western Forge. I’m now looking at a picture of the 15 or so I own (punches, chisels, center punch, line up tool) to double check, and all are stamped WF. If you’re ordering from Epsteins, don’t forget to ask for box art! I picked this set up.. Excellent value for $50. I can confirm they are Western Forge.